However, one of Raging Swan Press’s heroic freelancers—Julian Neale—suggested I grab a copy as there was some stuff in there I might like. On his recommendation, I picked up the book and I’m jolly glad I did! While I’m not going to use the whole book in my Borderland of Adventure campaign—at the moment we are mostly core rulebook only—there are certain things I can definitely see myself implementing. Thus, in the order they appear in the book, here are the options I particularly like. Just the other day, one of my players was lamenting how unrealistic levelling up was in Pathfinder—in that you suddenly gain all these new skills and abilities just by reaching some arbitrary number of experience points. Staggered advancement solves this problem by splitting the benefits of levelling into four tiers (or sub-levels). Under this system, characters see small incremental advancements in their abilities, which I really like. I think staggered advancement works particularly well with the slow advancement track (which I love and use in my main Borderland of Adventure campaign). It seems pretty pointless to use it with the fast advancement track, though. The only downside of this system is that it requires just a bit more bookkeeping. I love the concept of background skills. In Pathfinder, it often seems skill points are in short supply, particularly for fighters, clerics and anyone with low intelligence. Players face hard choices between optimising (as much as possible) their PC’s survivability and simulating their background skills, hobbies and interests. Background skills provide 2 extra skill points to spend on a short list of skills—think Craft, Profession and suchlike—that can simulate the PCs’ background skill hobby or interest. I think this is a neat touch and, of course, inventive players can always find ways to make their background skills useful during their adventures. At the very least, they promote roleplaying and characterisation which can only be a good thing. I love the concept of wound thresholds to inject a little bit more realism and drama into combat. For years, we’ve been using Alea Tokens to show how badly wounded people are in combat, and by chance the wound threshold rules mirror the percentages—25%, 50%, 75% and 100%—exactly. Basically, at each threshold, the injured characters suffers a -1 penalty to all attack rolls, saving throws, skill checks as well as AC and caster level. Given we’ve already been using this basic concept (without the penalties) and I don’t think this would be very hard to implement at all. I love the concept of an item that grows in power along with the hero that wields it. In particular, if a PC possesses a family heirloom such as a battleaxe it makes sense for the item to have scaleable abilities. If it doesn’t the PC quickly outgrows it and is literally forced by circumstance—and the increasing power of his enemies—to use another item instead. I’ve already used scaling items in my campaign—sort of. While I didn’t mirror the mechanical aspects Paizo provide in Pathfinder Unchained I have used a similar concept for special items. The PCs normally found these items early on in their career and initially they seemed to be nothing more than (say) a +1 longspear or cloak of resistance +1. However, these were intelligent items and as play progressed—and the owner proved himself worthy—the item chose to reveal additional powers, and in the process marked itself as something special. PCs love wielding unique, special items and I can’t wait to use scaling items in my campaign. The only downside I can see with the system is that the maths behind the item’s value—and its impact on the amount of treasure the party recovers—seems a little torturous. I deliberately haven’t touched on the new versions of the barbarian, monk, rogue and summoner in this article. While I like several elements of the classes’ redesigns—the barbarian’s simplified rage, the greater flavour of the summoner and so on—I don’t yet know enough about how these new class versions would fare in actual play to have a defined option. 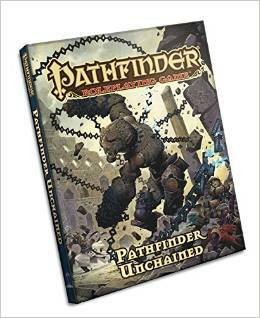 Do you like Pathfinder Unchained? What’s your favourite bit from the book? Let me know in the comments below—perhaps I missed something! I don’t think Pathfinder Unchained is meant to be used in its entirety, but more like a grab-bag of things to take or leave. Some of this stuff, like Staggered Advancement and Background Skills sounds similar to some ideas from 13th Age. I am about to embark on reading this. Looks like you are a real fan of the game so it gives me some hope (where I had none before) that I will like what I read. Good luck. I was pleasantly surprised by a lot of it. Favorite things so far: revision of the rogue class (additions, no real subtractions; Weapon Finesse a freebee); background skills (as a concept, regrettably my players’ characters are so high that, even with the addition, they don’t bother with it much); option of fractional BAB and base save progression for multiclassing (again, however, we’re past the point of that making again big difference); skill unlocks. Though, of course, the play-testing is slow on my end. PS: Frankly, I thought that the new barbarian is stupid. If a player can’t figure out how rage works, they’ll be just as confused when their barbarian character receives one of the ability score spell-buffs like *bear’s endurance*. I will grant that sometimes the explanations of class abilities in the CRB are as trifle arcane (or repetitive, in the case of cleric), but it doesn’t warrant a change of mechanics. What you mentioned are exactly what I like about Unchained. I was using a version of the weapon advancement, too, before this came out, and I’ve been struggling with a way to deal with a more “realistic” wound system. I was using “Torn Asunder,” but I think I will go with the Unchained method. I have been doing something similar for a few years now… usually with magical weapons. I always hated the idea of the fighter tossing aside his +1 sword that he lovingly carried for a year, when he stumbled across a +2 sword. I usually make the power of the wepaon go up as the character increases in level, as well as add additional powers. 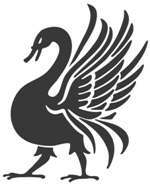 They are always designed for a particular PC and become an important story element. These weapons are always items with their own unique histories and backgrounds, and are not given out lightly. Most have important implications to and tie-ins with the campaign story arc. Scaling Magic items are great. I was first really introduced to them in the Weapons of Legacy book from 3.5. Legacy weapons are nice because they require rituals or quests to be completed to make the item grow in power. I use them sparingly in my campaigns because they are fun to have, but when multiple people have them it can take up significant time to go do the rituals and quests. I use the multiclass BAB and saving throw suggestion. Multiclassing needed some help, especially at lower levels.